In Part I of Beating Holiday Stress, we developed a plan to tackle Turkey Day. If you missed it, you can read it here and download the Thanksgiving Prep List here. Now we want to talk about another source of stress … guests. If you’re entertaining overnight guests, your job doesn’t end when the table is cleared. Creating a warm and inviting guest room doesn’t have to be expensive just rich in detail. 1. Luggage Racks aren’t just for hotels. 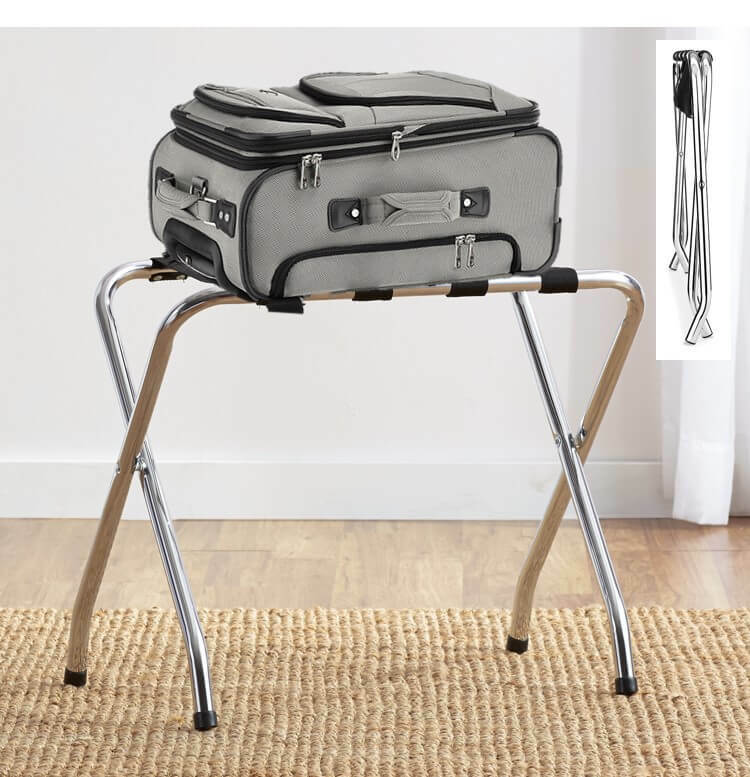 Give your guest(s) a convenient place to store their suitcase. Once they leave, collapse and stow in the guest room closet or under the bed. Bonus: It’s actually very handy when packing so put it to use for more than just visitors. 2. Toiletries Pertinent yet so easy to forget. Keep the guest bathroom stocked with basic items so your visitor has exactly what he/she needs without even having to ask. Use drawer organizers or bins to store an extra toothbrush, toothpaste, soap, shampoo, conditioner, feminine products and headache medicine. Tip: Instead of leaving those little complimentary hotel shampoos and soaps behind, bring them home and use them for your guest bathroom. 3. Towels While we’re in the bathroom, let’s talk towels. No one wants to question the cleanliness of their bath towel. 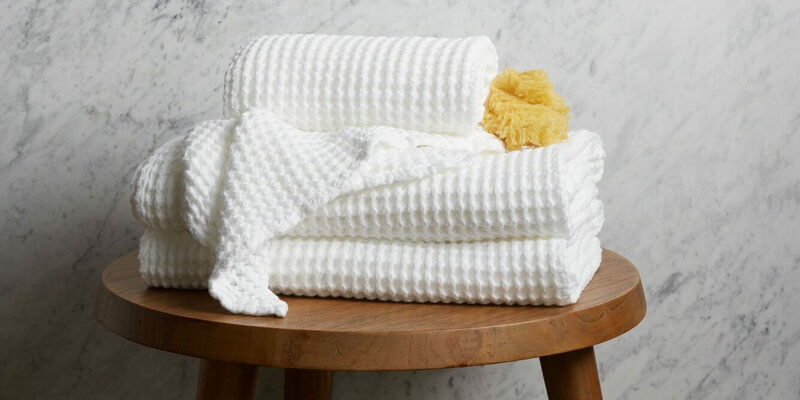 Stocking the guest bathroom with big, fluffy, bright, white towels will put them at ease and leave them feeling refreshed. 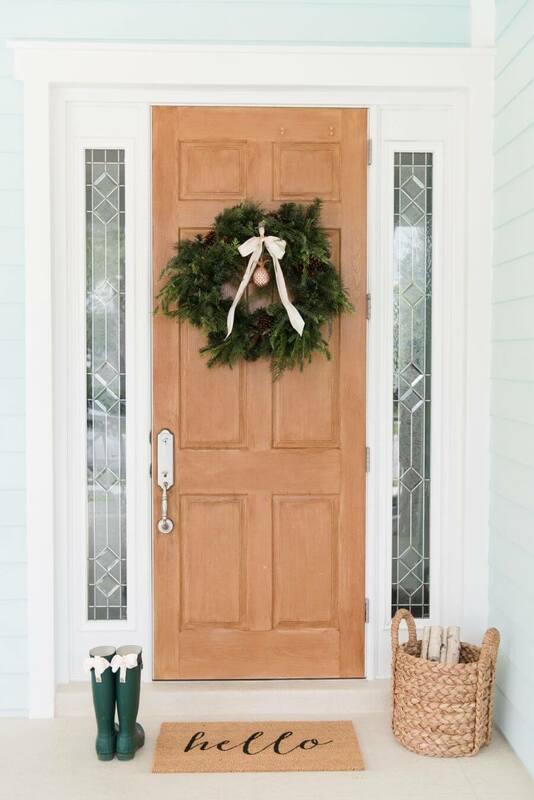 If you’re looking to splurge, January is typically the best month to buy towels and linens. 4. Hangers Keep a handful of hangers in the guest room closet. 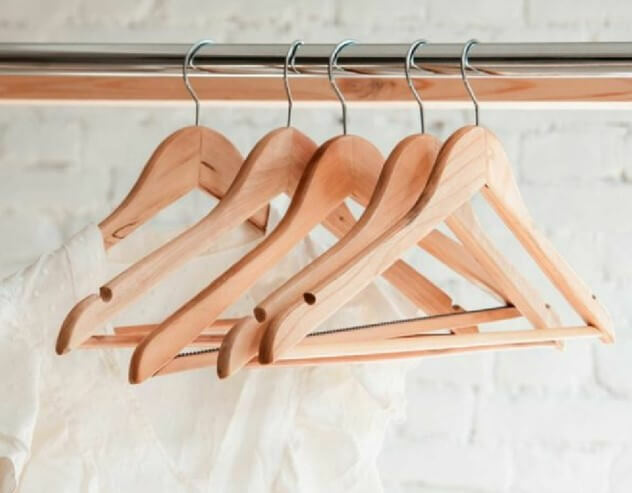 Wood hangers are a great option, as they are durable and attractive, and cater to all types of clothing, from suits and heavy coats to strappier garments. 5. Bedding is key to a good night’s rest. 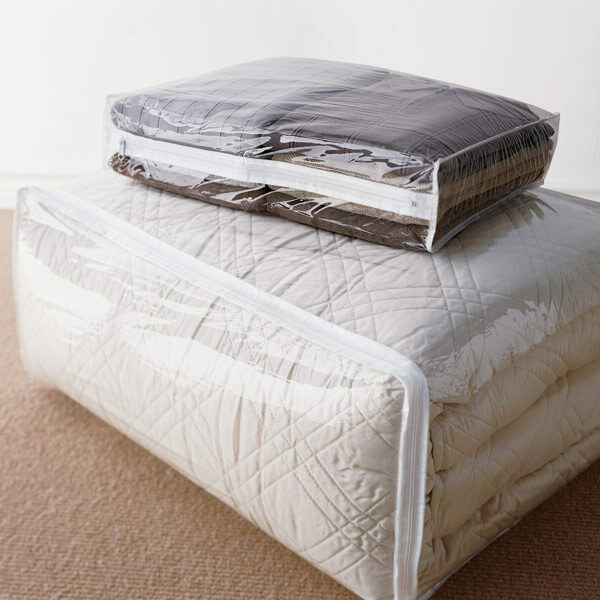 Because things like temperature and pillow firmness directly affect how we sleep, keeping additional pillows and extra blankets in their closet gives your guest options without them even having to ask. The PEVA Blanket Bag from The Container Store is a great (and eco-friendly) storage option.